Europe’s aviation market remained strong in 2015 despite significant economic uncertainties. Europe’s GDP grew by 1.9 percent in 2015 and is forecast to grow by 1.8 percent annually through 2035. The European aviation market is expected to grow during the next 20 years, with airlines forecast to acquire more than 7,500 new airplanes valued at over $1.1 trillion. Single-aisle airplanes will comprise the majority of deliveries, representing a 78 percent share of total deliveries. Although European aviation growth is slower than aviation growth in emerging economies, the region’s large installed base of more than 4.600 airplanes supports substantial demand for replacement airplanes. 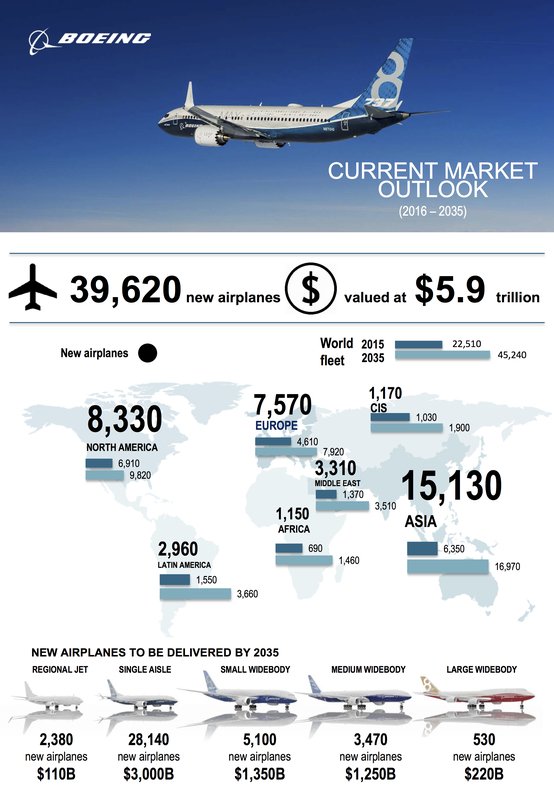 Replacement demand will account for 56 percent of Europe’s total new airplane market. To read the full Current Market Outlook 2016-2035, click here.